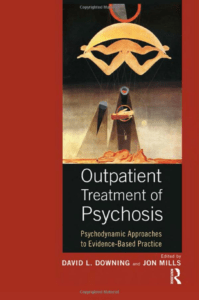 Psychodynamic approaches to the outpatient treatment of psychosis is a niche field, and this book is certainly specialised (and overly complex at times). However, it also gave me a good – and largely refreshingly accessible – entry into thinking about and working with a clinical presentation that I often consider to be outside of my working range. Being a compilation of articles, it inevitably varies in terms of the appeal and relevance of its chapters. Indeed, the book features some very dense psychoanalytic theory that felt opaque to read, and hard to make sense of; ironic in a book focused on psychosis and its ‘crazy making’ characteristics. I am not psychoanalytically trained, nor do I much enjoy the tendency I have found within this field to use weighty and hard-to-make-sense-of language. 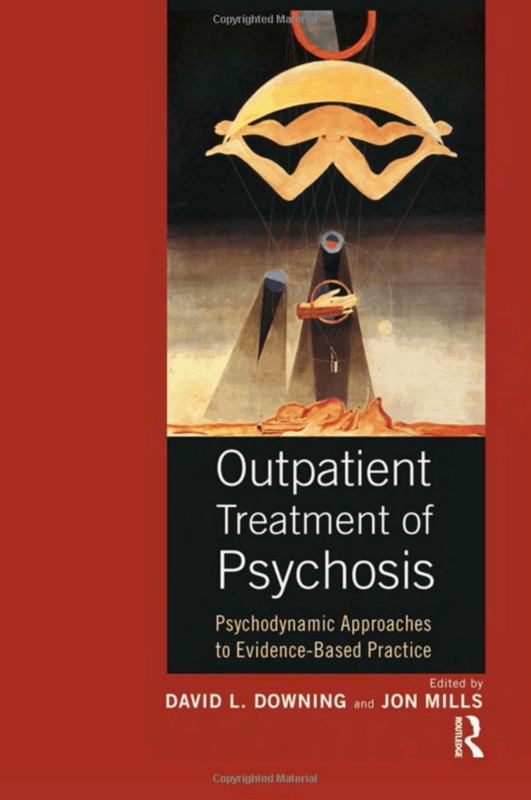 However, where the book really comes alive is in its description of case studies, and its citing of some very innovative and inspiring ways of engaging with psychotic patients. Starting at the beginning, chapter one lost me with its very detailed and US-centric history of the treatment of psychotic patients (as they are referred to in the book) in the United States. Chapter two, however, appealed further with the very vivid demonstrations offered by the authors of the clinical and practical implications of working with psychotic patients in an outpatient setting. These are clients that display anti-social behaviour and routinely admit to aggressive impulses, directed at themselves and others. The authors describe the considered and multi-agency ways of working with this type of presentation, where risk is constantly re-evaluated and a patient’s social circle is often recruited into their care. They make an admirable attempt to depathologise psychosis, questioning the term altogether and placing it, as one might do with many other psychological ‘disorders’ such as anxiety and depression, along a spectrum from the more delusional to the more circumscribed difficulties. In both this chapter and in others, I welcomed the situating of psychosis within a socio-political context. The differences in the life circumstances of middle class, affluent patients who enjoy family support are contrasted with those of poorer, working class and more alienated patients, who do not enjoy material comfort and whose psychosis both results in, and is worsened by, difficulty in holding down jobs, accommodation, and engagement with other health services etc. Socio-economic determinants are an important factor that has a strong impact on the outcomes of these clients, but can sometimes be lost, I find, in psychotherapy books. So I really enjoyed its inclusion here. Yet while some authors display a real willingness to empathise with their patients and enter into their experiences, they don’t, unfortunately, afford the same openness with their readers. In chapter four, for instance, the author describes his genuine desire to engage with his client, and seems to succeed in doing so, but ironically his dense and complex way of writing really alienated me as a reader. It felt as though his humane efforts to connect with the client contrasted with almost boastful ways of describing the theory behind his clinical approach. In his defence, he may have been writing for an audience of psychoanalysts, who presumably will feel more comfortable with the terminology. Chapter five, on the contrary, stood out for the engaging, straightforward and descriptive account of the author’s placement within an inpatient treatment centre. Entitled “Soaking in Madness”, the author narrates how she was ‘made crazy’ by one of the women she worked with (or who decided to work with her) and, in the process of doing so, got a greater understanding and respect for this woman and her predicament. In a context where the patient has little say in many of the aspects of her day (mealtimes, activities, company etc.) the fact that she manages to gain some control over the analyst, who in turn takes time to make sense of this, becomes curative. The author writes that at this point in treatment, the ‘why’ of how a person has come to be how they are is miles away; it is enough for the person to bear being in another person’s proximity, and tolerate any intimacy at all. Schooled in relational therapy myself, I welcomed a relational approach to psychosis in this and other chapters. In chapter six, for example, the author understands psychosis as being born out of having ‘objects’ that always wanted more than they could give and, conversely, never got what they themselves needed from their own ‘objects’. So here she imagines a ‘why’ where the previous author did not; however what they both share is a humane and interested stance towards a person’s psychotic experience. Following in this vein, chapter seven challenges the professional/client dichotomy and reminds us that the most healing experience for people suffering psychosis is often to be found outside of the consulting room, within peer support and the restorative power of a supportive community; so hard to come by in a national atmosphere of dwindling resources (a landscape a British reader will recognise), coupled with some of the socially alienating aspects of psychosis (poor personal hygiene, hearing voices etc.). Jungian approaches take up the last chapters in the book, where authors interpret symptoms as calls towards psychic deepening and full engagement in life. This is an optimistic approach that I would normally have reservations about, were it not for the author relating this very concretely to his work with war veterans, and the very necessary spiritual exploration of some of their symptoms. In this context, making sense of dreams as invitations to honour the spirit of the dead is far more effective than seeing them as post-traumatic pathologies. The author only references male patients, unfortunately, and I wondered about women affected by the war experience as well. Lastly, chapter eight presents a less crippling, more recognisable presentation of psychotic experience. Interestingly, in these case studies there appears to be no developmental reason for the emergence of psychosis, with the focus instead being on an individual’s struggle to find a place for themselves within different social settings. All in all I thoroughly enjoyed this book. I enjoyed the intellectual exercise some chapters elicited (the overloaded chapters were a minority), and I admired the authors’ ingenuity in engaging with ‘difficult’ clients, including their efforts to understand seemingly nonsensical behaviour. It has helped me think further about psychosis, rather than allocate it to “other people’s work”, and has also given me a flavour of the spectrum of ways psychosis can present. Lisa Bruton is a UKCP registered Counsellor and Psychotherapist, working in private practice and for the Metropolitan Police. She also delivers training sessions and teaches psychotherapy in Higher Education.